Note that if you are preparing pie filling for freezing, it’s a good rule of thumb to prepare a little more than the recipe calls for. For example, the zucchini pie recipe calls for 5-6 cups of sliced zucchini, and I use a generous 6 cups for the frozen filling. This is because, when you freeze some fruits and vegetables, they will break down or shrink somewhat. Thus you will need more to fill out your pie. Next up is preparing the pie crust. Sure, there are some decent prepared pie crusts on the market, but I take pride in preparing my own. Besides, I feel like if I’m going to take the time to grow the produce that goes into the pie, it’d be a shame not to have a ‘completely from scratch’ creation. The recipe I like to use is a ‘stands the test of time’ Betty Crocker recipe. I found it online here. This recipe is for a single crust, and you will need to double everything for both crusts. I would like to offer up some tips I’ve discovered over the years as I have greatly improved my crust-making. 1. Roll out the crust on a floured sheet of waxed or parchment paper. 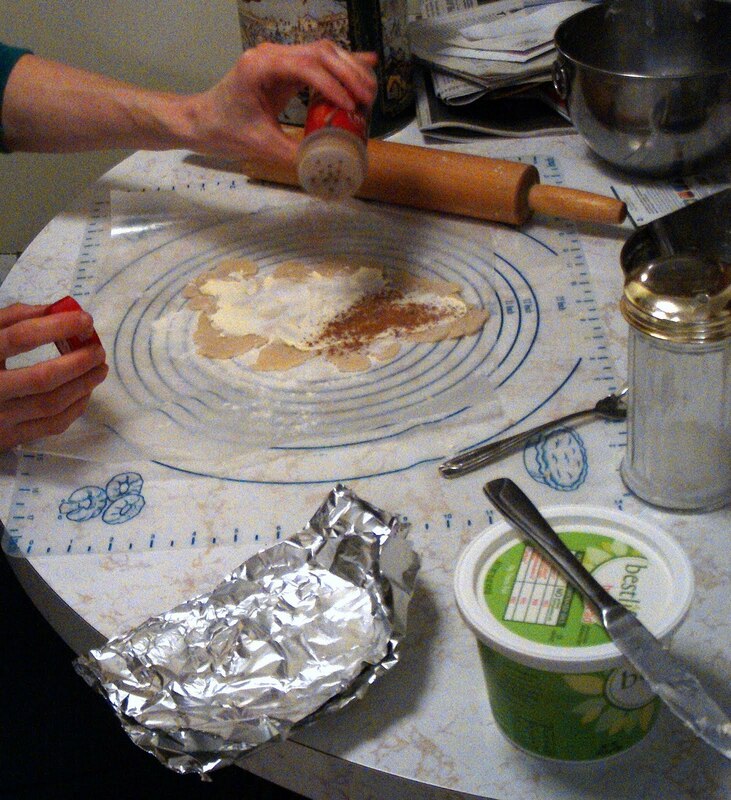 Then you can pick up the paper and flip the crust over into the pie plate with less chance of tearing. I have found that ‘folding the crust into quarters’, as the Betty Crocker recipe suggests, doesn’t work for me at all. 2. When dividing the dough into two for top crust and bottom crust, make one ball slightly larger than the other. This is because the bottom crust needs to be slightly larger than the top crust, and then you won’t need to roll the bottom crust quite so thin. 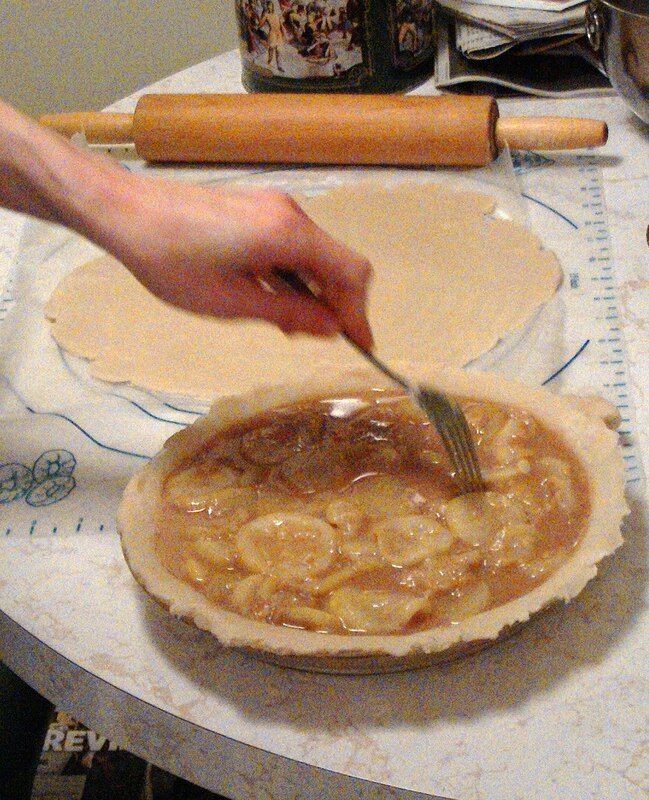 Once the pie is filled, distribute the filling to make an even surface. This will minimize ‘sharp’ spots that may tear the top crust when you lay it down. 3. After you’ve trimmed the excess crust and crimped the pie down, you may wonder what to do with the leftover dough. I learned this from my Mom – make cinnamon rolls. Roll out the leftover crust, spread some softened butter or margarine (any ‘buttery spread’ will do), sprinkle generous amounts of sugar and cinnamon on top, roll up, and cut into 1 inch rolls. 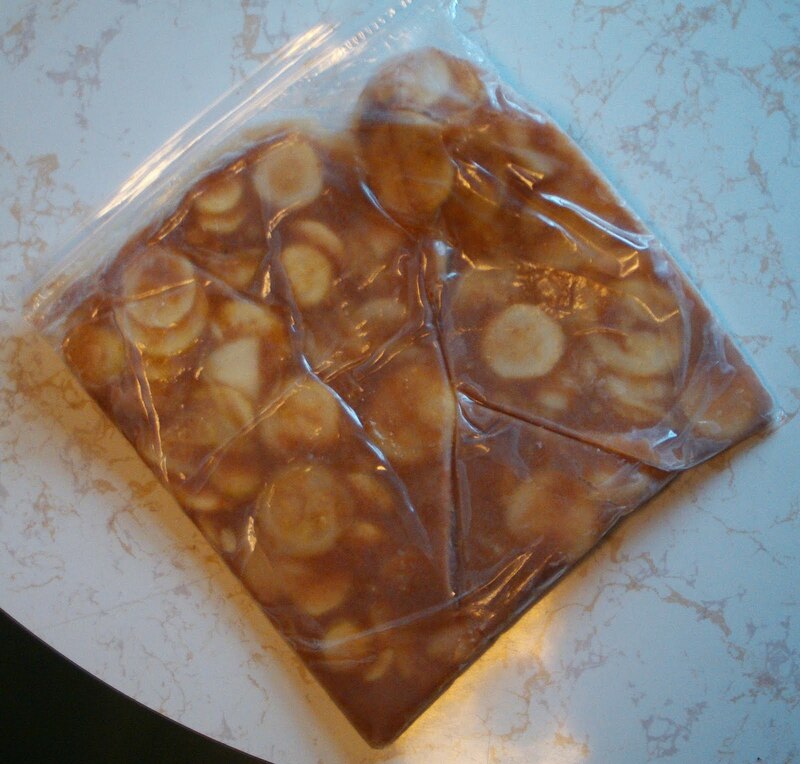 Bake on a tray or sheet of aluminum foil in the oven with the pie. Yummy! 4. One last note about baking the pie. It’s a good idea to cover the edges of the pie with a metal ring that’s made to fit over standard pie plates. This will prevent the edge of the crust from browning too much. Some recipes say to remove the ring during the last 10-15 minutes of baking, but I’ve found that if I do that the edge still gets too dark. I leave the ring on throughout baking. If you don’t have a fancy ring, applying strips of aluminum foil around the edges works just as well. Great “Pie Day” photo. My mouth waters. 1. When I roll out the dough I give it a quarter turn occasionally to make sure it's not sticking to the counter. If it is, I can catch it early before large amounts of dough stick. 2. I've never liked folding the dough in quarters either. Instead, I place the pin at one end of the dough and roll the dough over my rolling pin until all the dough is rolled up (like re-rolling the toilet paper after my toddler plays with it). 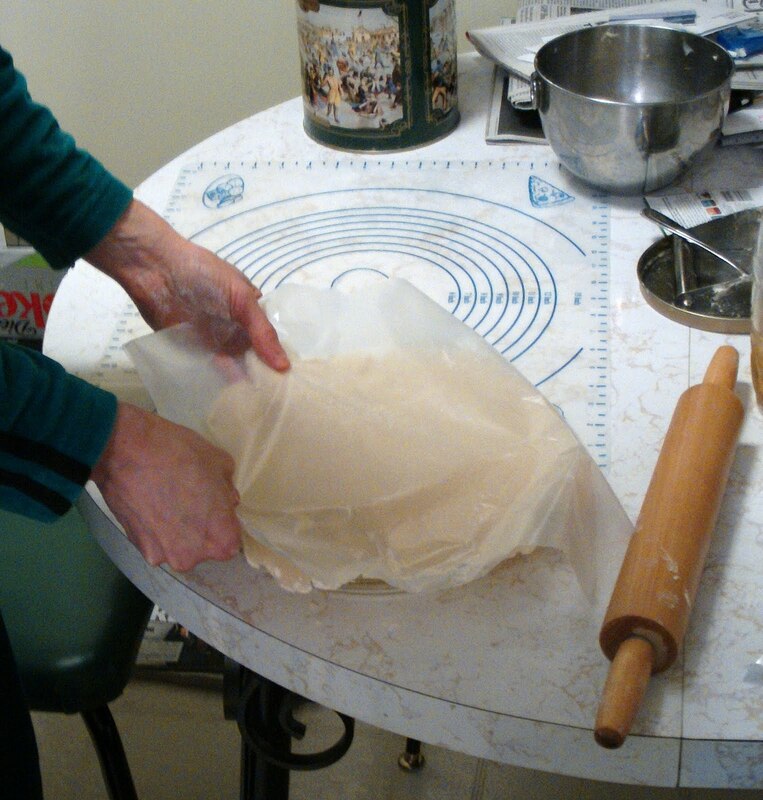 Then I take my pin to my pie plate and, starting at one end, unroll the dough into the plate. 3. Making strips of foil are a pain. Take a piece of foil large enough to cover your pie, fold it in quarters and then cut a quarter circle. Unfolded, you should have a full circle in the middle of the foil. I take the foil off for the last 20 minutes, and the edges come out just fine. Your edges might be getting too brown because you're using a high oven temperature. 3. To get a lovely looking top crust, brush milk or beaten egg all over the top and sprinkle with about a tablespoon sugar. The egg will make the crust glossier than the milk. The sugar will help the crust look nice and browned. 4. Put a foil covered baking sheet under the rack the pie is on to catch any spills. Spills usually don't happen (as long as there's not too much filling), but it always happens to me when I forget that baking sheet. 5. To get a nice crisp bottom crust, bake the pie on a baking stone (and let the stone heat up for a half hour). And for heaven's sake, don't use a disposable pie plate. Shiny aluminum reflects heat, making it harder to crisp the crust. I use glass which works pretty well. Sometimes what we think is obvious, isn't to others. I remember several mistakes I made in learning to cook when I was a teenager that were so obvious to my mom that she didn't explain such pitfalls before I started (“What do you mean the spaghetti continues to cook if I leave it in the hot water? I turned off the fire.”) The single pie crust recipe you linked to indicates to bake the crust. If one were to follow the recipe exactly, but try to double it so as to have a top crust, they would find it difficult to crimp the top crust to the bottom, like what you did for your zucchini pie. Hopefully people would realize the differences and adjust accordingly, but you never know…. 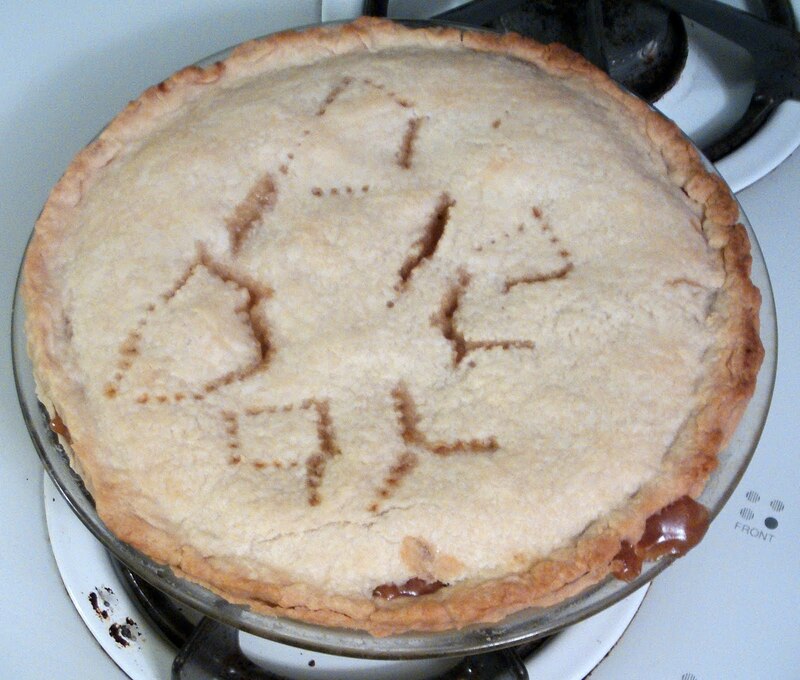 A great resource for pie and pie crust recipes is your local library. The pie crust recipe I use is based off of a recipe in “Thanksgiving 101” by Rick Rogers, which I found at my local library. It uses butter and shortening as the fat. He also includes an egg yolk (for color) and a little bit of vinegar (to further tenderize the crust–you can't taste it when the pie is finished). He also does a great job of explaining all the steps in making a pie and why they are important. But a little exploring will yield other great books and recipes. Sorry for such a long comment, but I really like pie. Thanks for the additional tips, Vicky. I was going to mention that strips of foil are a pain, but I didn't want to deter people from trying it if that was all they had. Your big circle idea is good. I really like pie, too, which is why I'm happy to celebrate Pie Day!!! Hi guys! I'm really loving the tips you're sharing here! I'm actually doing the 'brush with egg' trick. My kids really love helping in that! They feel like they made a major part in making the pie so pretty, lol! As if the browning makes everything else looking and tasting delicious! They're my angels, so probably they're really making my pies perfect, lol!